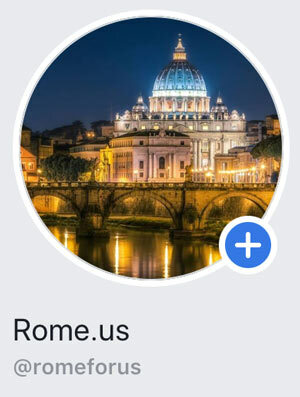 Everyone wants to fully immerse in the atmosphere of the city, get acquainted with the cultural traditions and lifestyle during the visit to Rome. Local cuisine plays an important role here. Don’t be surprised, but Italy’s dishes are not limited to pizza and pasta. 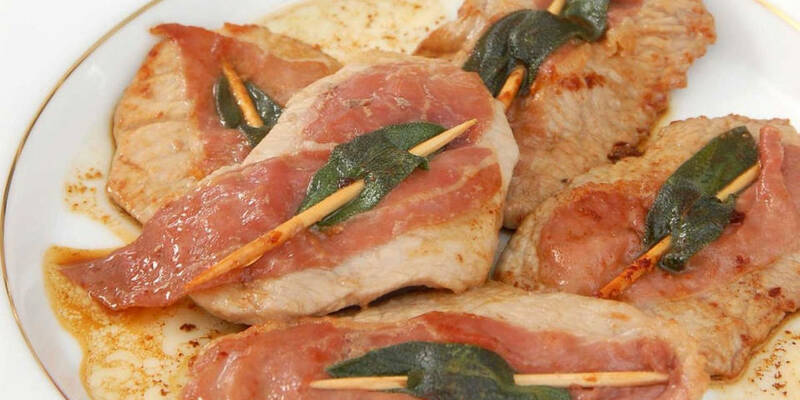 Saltimbocca literally means “jump into your mouth” and is a delicate, melting veal escalope with bacon. 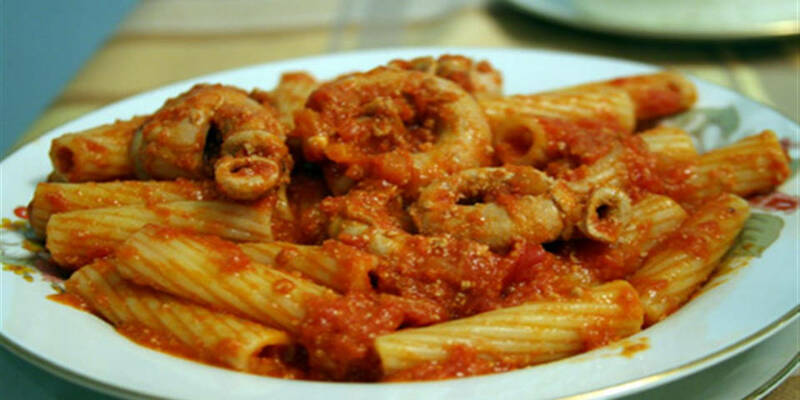 It is invented in the Northern Italy, but at the same time, the dish is very popular in Rome. Moreover, it is served with a fragrant white wine sauce. Bucatini is thick type of pasta with a hole. The dish is poured with a sauce, invented in Ammatria, a small town in the north of the Lazio region. Also, the basis of the sauce is guancale (pork cheek) and tomatoes. Undoubtedly, artichoke is the king of vegetables in Italy. Hence, carciofi alla romana is the most popular dish in Roman restaurants. This plate is especially famous among vegetarians. 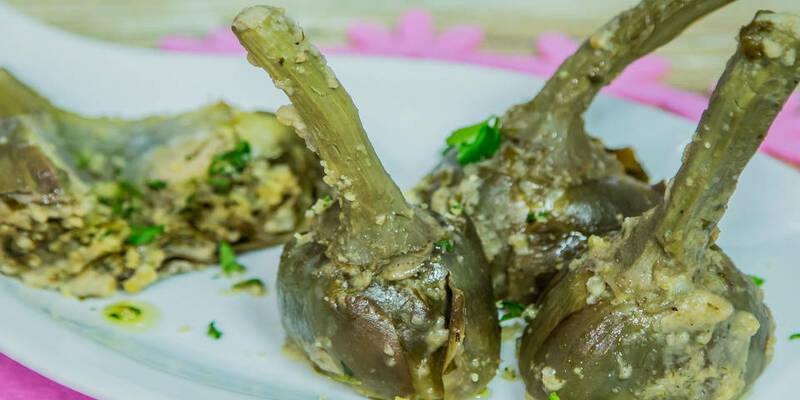 There are boiled artichokes with the addition of olive oil, white wine and filled with garlic and spices. Chops from lamb (abbacchio scottadito) is an excellent option for the second dish, especially for meat lovers. 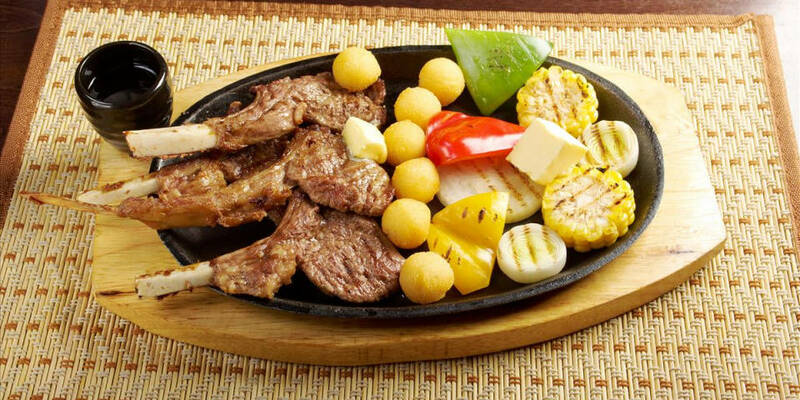 The lamb is roasted on a grill and the dish is a genuine masterpiece from Roman chefs. Spaghetti carbonara is a legendary Italian dish! As you may know, all restaurants all over the world are trying to reproduce it with varying success. However, the best option where to try pasta carbonara is in the Eternal City. 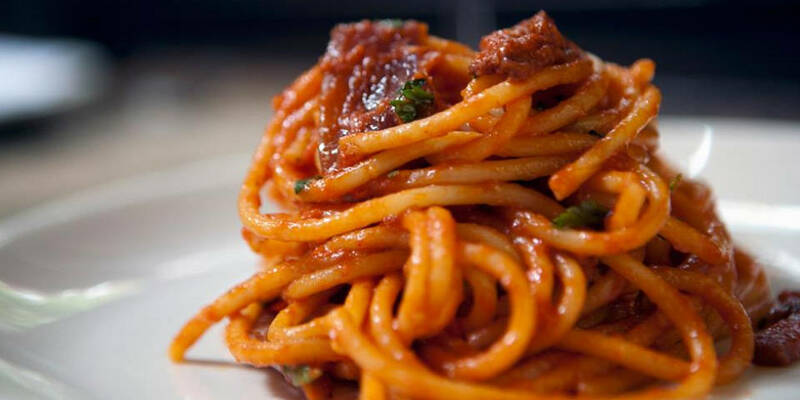 For example, it is worth to try the pasta in Carlo Menta restaurant in Trastevere. The famous sauce includes pieces of pork, eggs and parmesan. 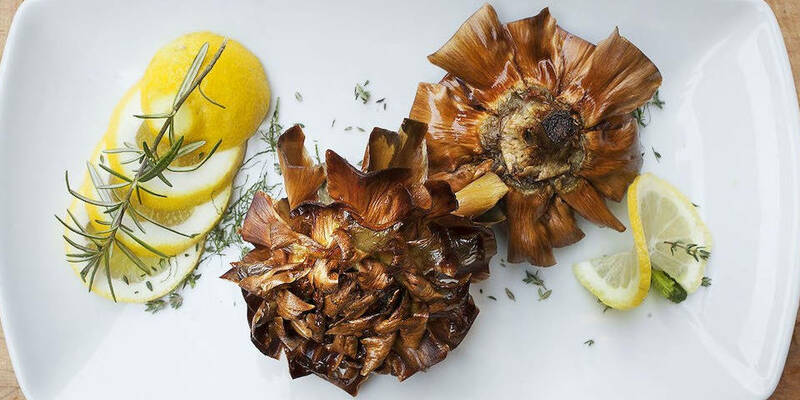 Carciofi alla giudia is a traditional dish of the Jewish community of Rome. The artichokes are fried in olive oil and look like chrysanthemums. The best option where to try this dish is in the Jewish Ghetto of Rome, located near the historical center of the city. Unexpectedly, the main ingredient of Pajata is the gut of the calf. Even if it sounds strange for you, trust me, the taste is very good. It is mostly used as a sauce for big types of pasta as rigatoni. Ragout made from bull tails (coda alla vaccinara) is an ancient delicacy of Roman abattoirs. This product was free for them and always available. 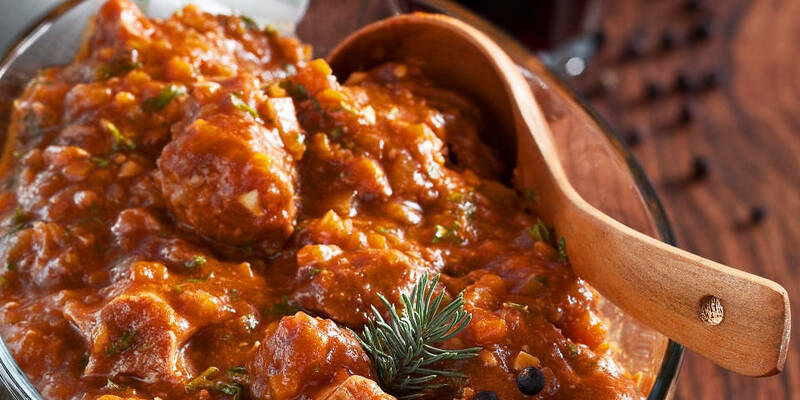 Tails usually stewed in tomato sauce during for hours and prepared with cocoa and pine nuts. The sauce has a deep and rich taste. There is not much meat there, but the dish is very delicious. Gnocchi alla romana or Roman dumplings are appetizing balls of potato dough, baked with béchamel sauce. Moreover, Thursday is a traditional day of gnocchi in Rome. Undoubtedly, it is worth to try this delicious plate. 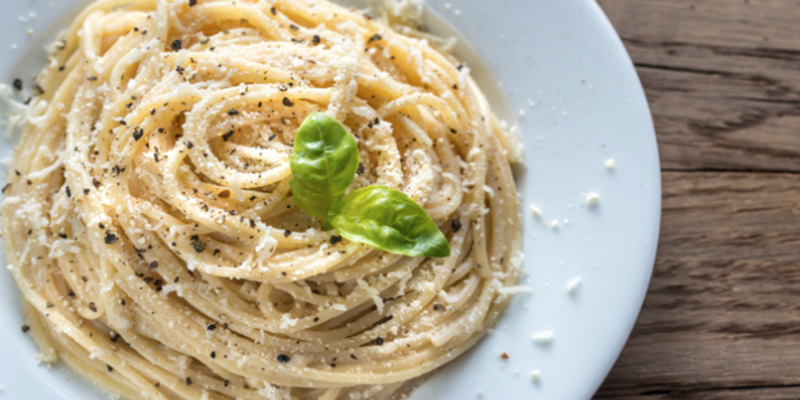 Cacio e Pepe (cheese and pepper) is the masterpiece of Roman cuisine. It is traditional pasta with pecorino cheese and a large quantity of black pepper. The dish is unbelievably tasty and popular. It is worth to try it because it would be difficult to find Cacio e Pepe in any other country in the world. Roman cuisine is full of various dishes. Most of the recipes exist for centuries and this is one of the reasons why the city is full of family-run restaurants, where recipes pass from one generation to another.